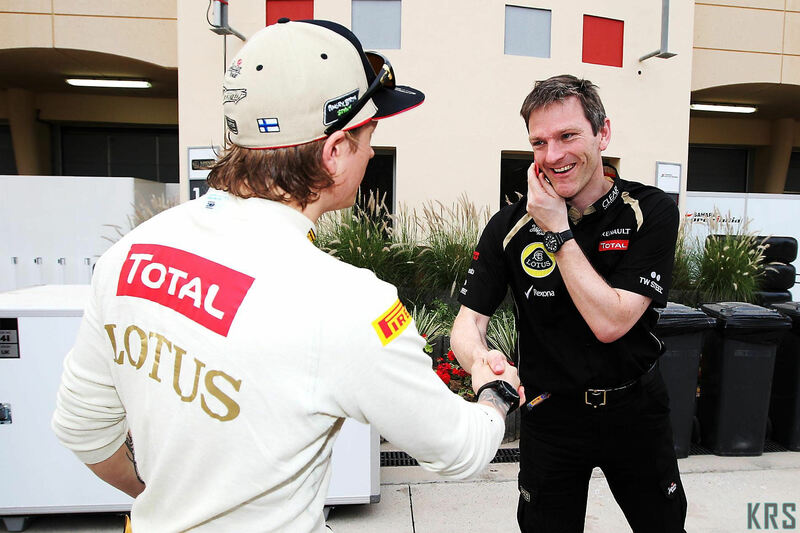 Joining former Lotus colleagues at Ferrari next season won’t make any difference to Kimi Raikkonen’s ability to settle in, according to technical director James Allison. Kimi Raikkonen may be following a couple of former Lotus colleagues on the road to Maranello, but previous associations won’t necessarily help the Finn hit the ground running in his return to Ferrari. That is the view of former Lotus technical director James Allison, who made the jump from Enstone earlier in the year. While the Briton’s presence in the Ferrari camp was reckoned to have played a part in Raikkonen’s decision to return – the Finn having also been linked to Red Bull – he plays down its significance. “I don’t think it will make much difference to Kimi at all!” he laughed, “Beautiful though I am, I don’t think I have a massive impact on his life! Allison admits that he is looking forward to playing a part in returning Ferrari to prominence next season, and sees the introduction of a new technical rules package – and the preparation work already completed before his arrival – as perfect for the rebirth. “I think technical director at any F1 team is a very big job, it certainly doesn’t leave room for much else than the job in your life,” he explained, “Ferrari is an extremely prestigious F1 team, with a lot of resource and an extremely high level of expectation. There is really no result other than winning that is good enough at Ferrari. goodluck kimi and mr.james allison.hope you win the championships with ferrari..keep fighting kimi and fly high!! !